The Journey has been designed so that participants can discover answers to their questions about the Montessori curriculum and principles. It has been modeled on Dr. Maria Montessori’s Three Period Lesson where first a concept is presented, then it is internalized through practice, and finally it is synthesized into full understanding and abstraction. This is for adults only and is a required event for all new parents. Child care is offered. 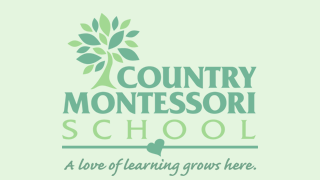 Please let Jose know if you will be attending and if you will need child care by emailing him at joseb@countrymontessori.org. We are so excited to have started our first phase of our security system upgrades at CMS. As you may have noticed over the winter break we installed some security cameras, as well as an access control keypad on the new front entry gate. The security system we selected has many features that can be integrated into this single system. Currently we are using a temporary code (1,2,3,4 #). We want to use this code while families get accustomed to using the keypad. Once everyone gets in the habit of using the keypad and the exit button we will have a generic code for CMS families which can be changed. Our system is set up with alerts so that when the gate is opened without using a keycode or the exit button the security camera snaps a photo and sends an alert message to our system. Our goal is for the keypad and exit buttons to be used so that these alerts/ snapshots serve as safety messages for anytime the gate is opened without authorization. We appreciate your assistance as we continue build upon our school’s security features. Please help promote school safety by using the entry code and exit button. There is still time to sign up for lunches if you are interested. On February 1st lunch ordering will be closed and you will not have an opportunity to add lunches. Lunches are ordered through RenWeb (ParentsWeb) or the RenWeb Home App. Directions are on RenWeb under resource documents. You will need to submit payment for lunches in order to complete the order so remember to have your bank account and routing number available. CMS will be closed for President’s Week Monday February 18th through Friday February 22nd. Child care may be offered on Tuesday Feb. 19th, Wednesday Feb. 20th, Thursday Feb 21st, and Friday Feb. 22nd if we have a minimum of 20 students sign up for child care each day. If you would like to sign up please email Jose Bolanos to inform him which days you would like and if you need half day (less than 5 hours – $25) or full day (over 5 hours – $45). Please contact Jose no later than Friday February 8th if you need to sign up for President’s Week child care.